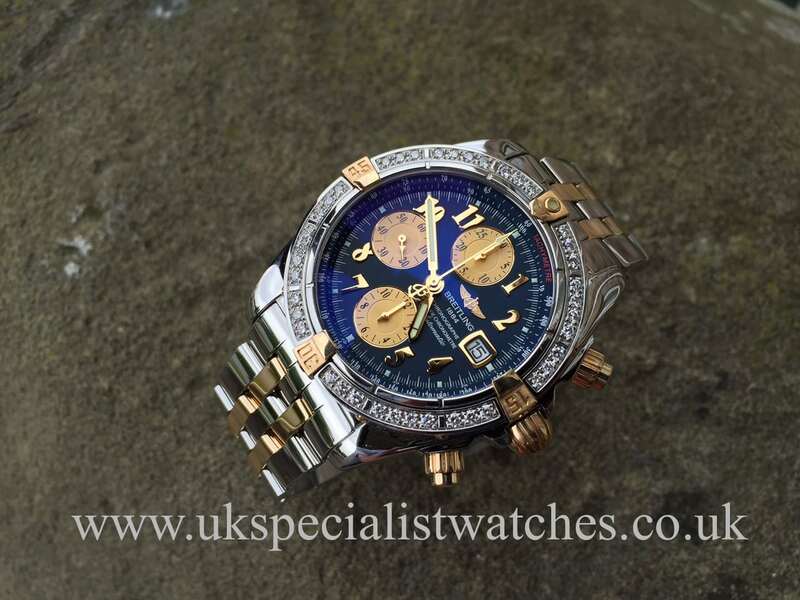 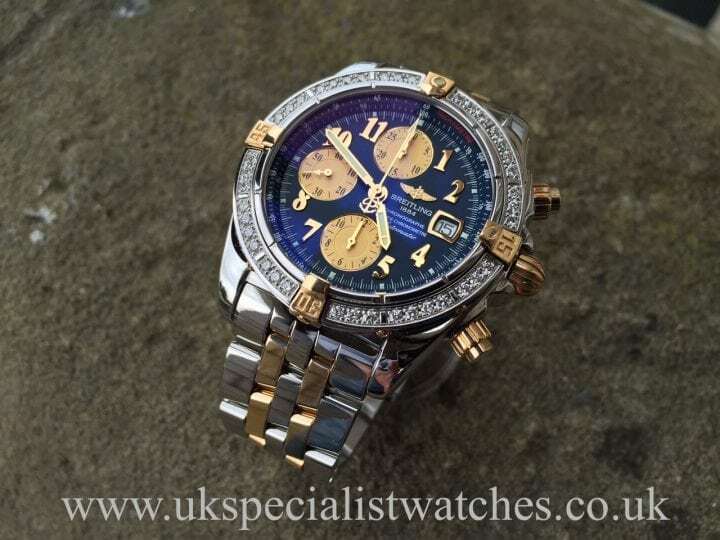 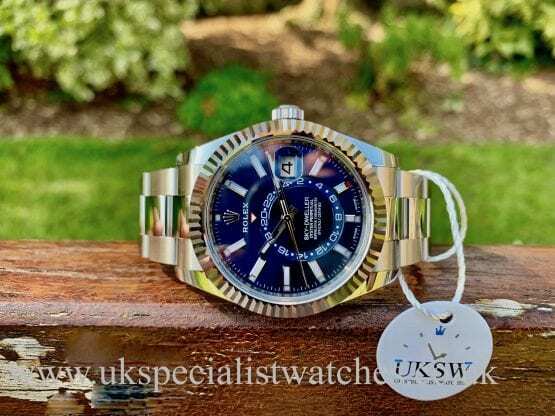 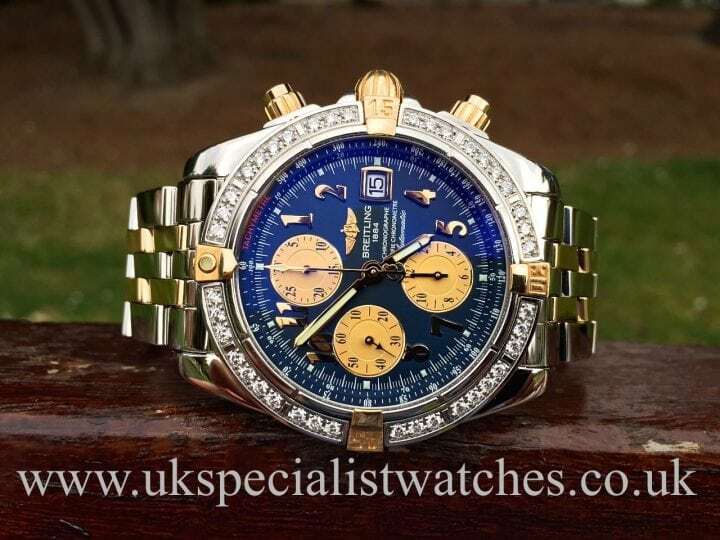 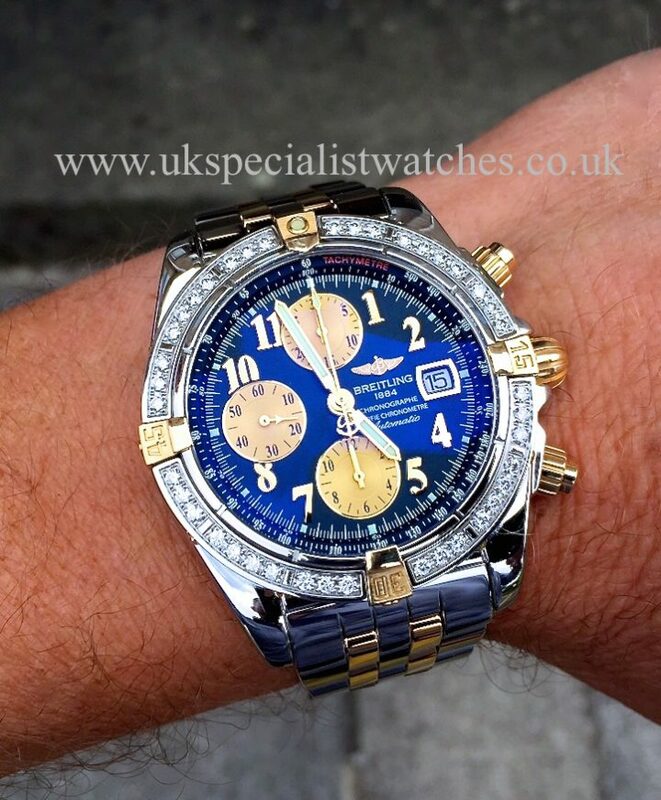 Here we have a stunning rare example of Breitling's Chronomat sports watch with a factory diamond set bezel and the larger 43.7mm case, highly polished bi-metal Steel & Gold pilot bracelet, sapphire scratch resistant glass & water resistant to 300meters. 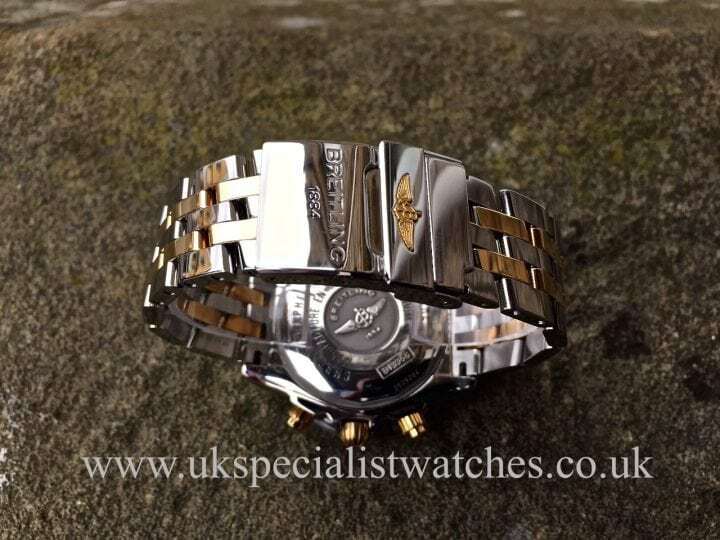 One of the nice features of this Chronomat design is the 18ct Gold screw-on markers at 12, 15, 30 and 45 on the bezel. Another unusual feature about the watch was its name. 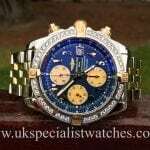 When Schneider bought Breitling from the ailing Willy Breitling, he also bought rights to all registered trademarks. 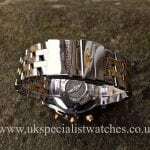 Schneider chose the name of one of the defunct watch lines instead of registering a new trademark. 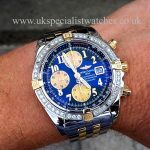 Thus the Breitling Chronomat was reintroduced. 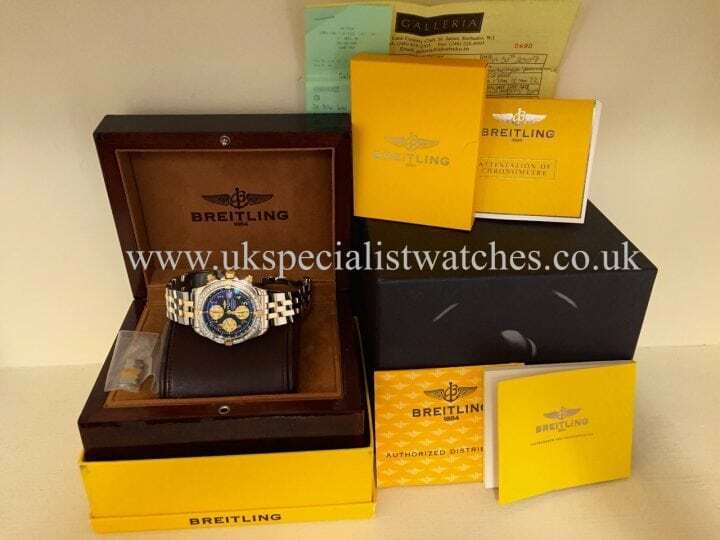 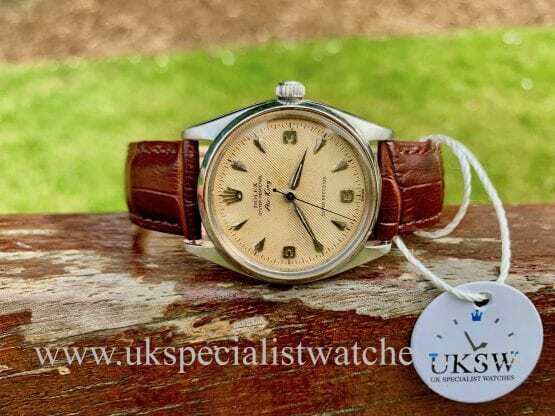 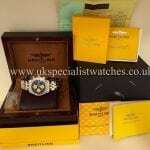 Comes complete with all original boxes, booklets, and chronometer certificate also original purchase receipt. 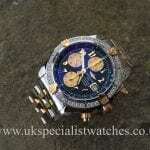 Supplied new Sept 2009. 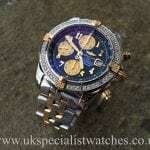 Last known retail price was over £12,000.